Our night time routine does not change. 8 o’clock is bedtime. Because I always have, my boys expect me to tuck them in. Simply saying “Goodnight, go to bed” doesn’t always work. Before they lay their head on the pillow we say our prayers. First, we recite The Lord’s Prayer. Then, they take turns saying an individual prayer. 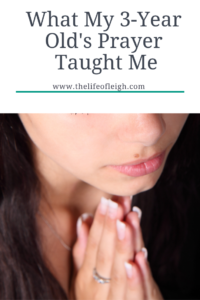 One night, I got a lesson in Thankfulness. Thank you for my mommy. Thank you for my daddy. Thank you for my brother. Thank you for our room. Thank you for my toys. Thank you for my bed. Thank you for my pillow. The tired mom in me wanted him to hurry up. He was literally looking around the room for things to be thankful for. I was tired and annoyed. I called his name in an effort to stop him. As he looked up at me waiting for me to say why I called his name I looked back at him and said, “Nothing, go ahead and finish your prayer”. I was so preoccupied with what I had to do next that I almost missed the beauty of the moment. My son realized that everything was worth being thankful for, even his pillow. While his epiphany may have been prompted by a desire to not go to bed it doesn’t change the fact that he found the good in the little things. In that moment I thought about all of the things I needed to get done. Finish cleaning the kitchen, make lunches, work on this blog…the list goes on. Instead, I should have been thankful for having the opportunity to put my kids to bed. Thankful for being present in their lives. Thankful for being able to provide them with a room. Thankful for being able to provide them with toys. Thankful for being able to provide them with a pillow. Thankful to have kids that know how to pray. 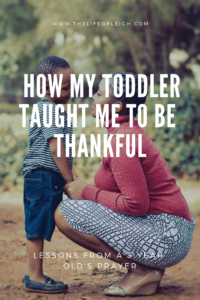 Next time I’m faced with a situation I don’t want to accept, like being sent to bed, I will stall like my 3-year old and take a moment to be thankful. 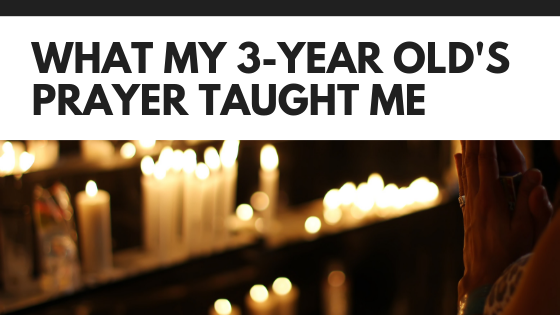 Kids will definitely put things into perspective for us parents.